Part of my working week is spent catching up with clients via Skype or phone to talk through what's happening in their business and thrashing around ideas for social media marketing, content and campaigns. This has proved to be extremely beneficial for those involved. It is not easy to come up with a constant stream of ideas particularly when it's just you and your business. We all experience a block sometimes. Bouncing off ideas with others no matter how random or crazy can often reveal some real gems. Many business owners may not have the time to work on their business regularly enough or are just to busy to sit down and suddenly tap into their inner creative side. Or they may feel that marketing and creativity are not their strengths. Some have great ideas but need to talk it through to see how it can come to life. Don't sit on them. Do they fit in with your overall business plan? Is this an opportunity that you feel you need to act on quickly? Keeping an eye on the longer term is key and your business needs to keep moving forward. 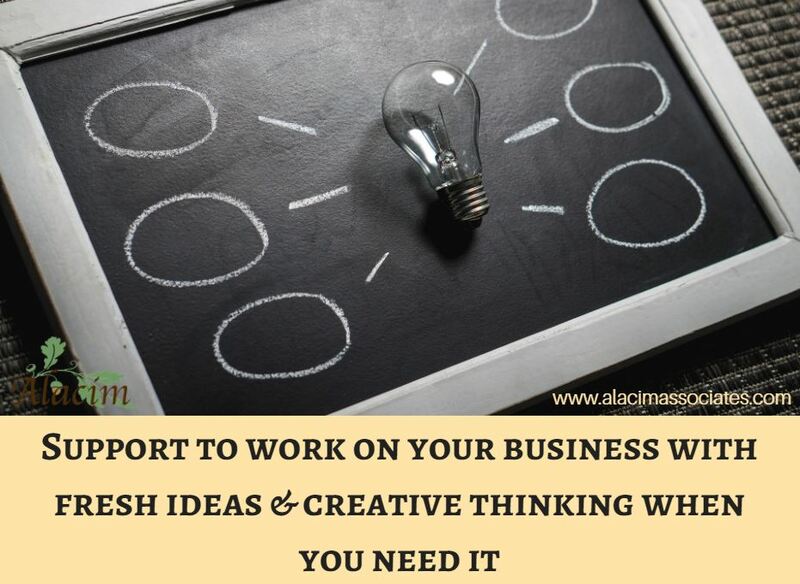 Do you need help in formulating ideas and a plan? Do you need a set of ears to realise some marketing potential? Do you need ideas to generate new business? Have you got ideas but don't know how to move them forward? Book a marketing power hour session with me and get some fresh ideas and creative thinking for your small business marketing. Helping you work on your business not just in it!